I trust we are still recovering from all the festivities and indulgences that come with this time of year. 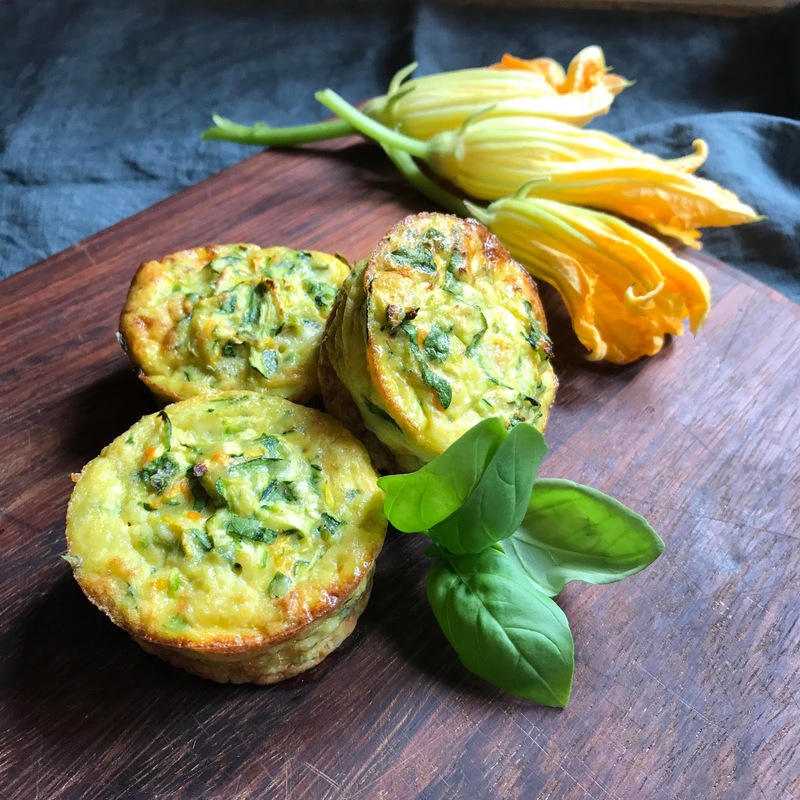 Cooking and food is probably the last thing on our minds right now, but being summer here in Australia, most of us are looking forward to some down time with easy healthy summer meals to tuck into and what better way than with seasonal zucchini blossoms. My new year begins with a haul of summer produce from my parents garden that has flourished with this crazy Melbourne climate. For those who live or just recently visited this beautiful city have experienced the dramatic weather changes, which have included torrential rain and somewhat balmy weather conditions - perfect for the garden. As my vegetable patch is quite small, so I limit it to a range of herbs, with only a few seasonal vegetables. My cherry tomatoes are growing and the capsicum plants are getting taller by the day. My parents on the other hand plant a large range of vegetables, with papa`'s summer favourite being the zucchini plant. What is quite funny is the fact that he only likes the blossoms and turns his nose up at the zucchini. These 10 plants have profusely blossomed this year yielding more flowers than zucchini which has suited papa` quite well. Though now he is beginning to tire of his favourite frittelle (fritters), leaving mamma wondering what to do with them all. Many have of the flowers have come our way but there is only so many deliciously stuffed and fried blossoms one can eat, right?! Well there are numerous other ways they can be consumed, in dishes such as Zucchine al tegame - pan frying them with their zucchini companion and tossing through some spaghetti; in risotto or topping a pizza bianca; and of course turning them into frittelle or baked in a frittata to just name a few. 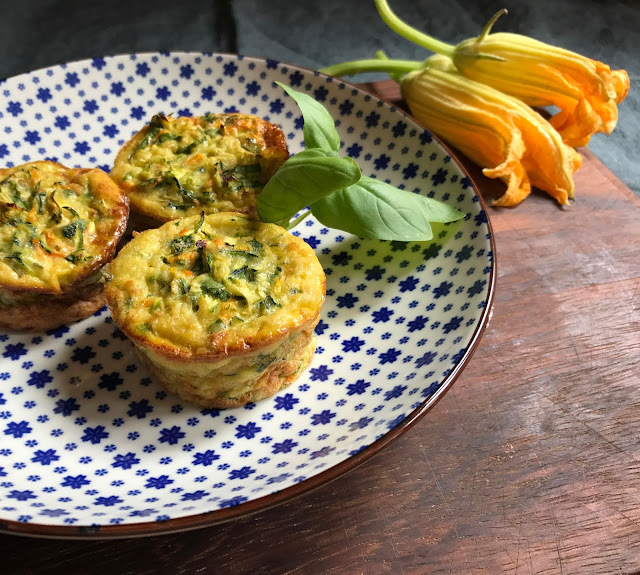 The traditional frittata which comes from the Italian word fritta (fried) is obviously that and one which my family loves to eat, but occasionally I also like to bake it. I was asked to share this recipe as many health conscious readers prefer an alternative to frying. This is a healthy summer lunch suggestion that is just as delicious as its fried relative. It is a cross between a quiche and a frittata. I have at times also added ricotta or cream to the mix and reduced the amount of parmigiano cheese. You can bake it large or as individual portions that are great for New Years day bbq 's and summer picnics too. Pre- heat oven and spray a 12 cup muffin tin with nonstick spray. This is a one bowl and fork mixing process. Coarsely grate 2 zucchini and squeeze out the moisture. Discard the liquid and place the grated zucchini in a bowl. 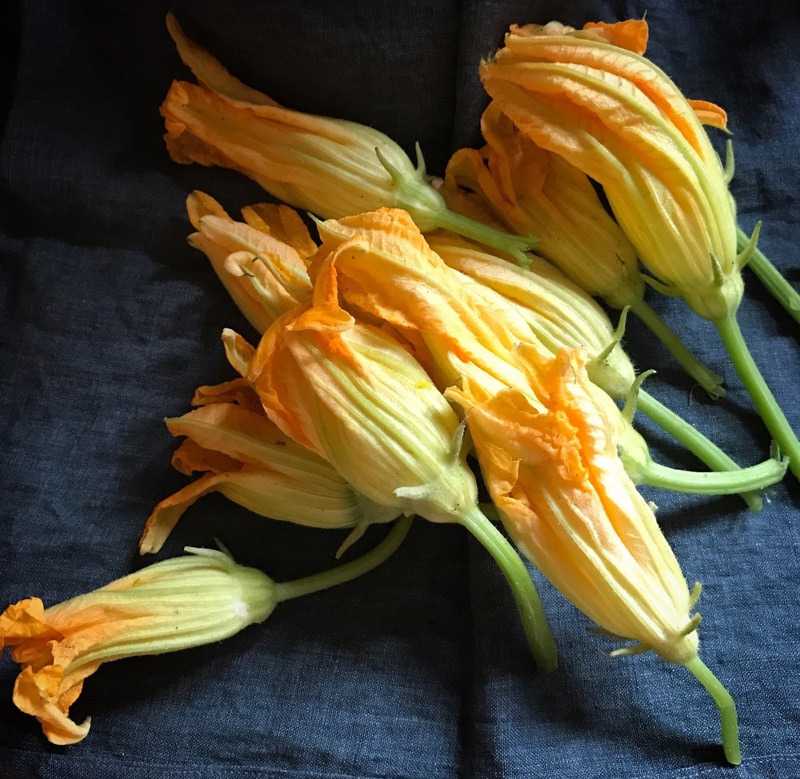 Wash and pat dry the zucchini blossoms, and remove the flower from stem and stamen. Roughly chop the flowers and place in bowl with zucchini. Chop parsley and basil and place in bowl. Add eggs and grated cheese and mix until all combined. Add the flour and season to taste. The mixture should be the consistency of a pancake mix. If it is too liquid, just add some more flour. If too dry, add some milk. The consistency depends on the size of the eggs and zucchini. Evenly divide the mixture in the muffin tin and bake for 20 minutes in a moderate oven or until the frittate have risen like quiches. Serve hot or cold with a salad. These mini frittate sound delicious! I can't wait until our Summer to try the recipe! I plant zucchini plants every year, and I love using the blossoms to cook with. They are a real summer treat. Mamma tried to give me more today, but as we will be away for a week I had to reluctantly decline.